Looking for me? You may have noticed that I haven’t been active on the blog here for a while. That is because I launched My Menu Pal last year with my good friend and colleague, Lesley Baradel. My Menu Pal is the culmination of our passion for menu planning and recipe development, just taken to a new level. 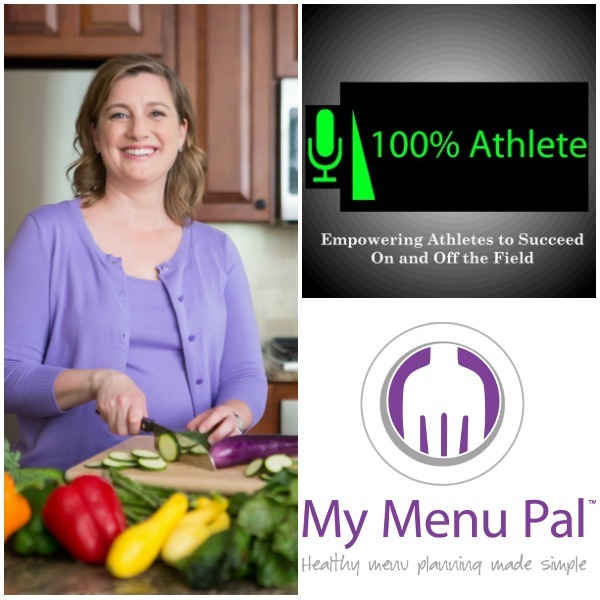 You can find hundreds of recipes for free on My Menu Pal for just about any occasion. We actively blog about recent recipes we’ve created or the latest nutrition trends that strike us. And for those that want more help in the menu planning department, we offer weekly menu plans that you can purchase for as little as $1.49 each. Each menu plan provides you with 4 amazingly easy family-friendly dinners to make with complete recipes for all entrees and side dishes as well as a grocery shopping list. We’ve done all the work for you! We now offer both classic and gluten-free versions of our menu plans. Another passion project I’ve been working on for the past year is a podcast I’m co-hosting with 2 college friends. The 100% Athlete, Empowering Athletes to Succeed On and Off the Field delves into all kinds of sports-related topics from youth sports through college and pro athletics. We get into the nitty gritty of things that most people don’t want to even address such as the gender gap, stereotypes, race in sports as well as inspirational stories from real pro athletes who’ve been there and done that. Of course I talk sports nutrition when appropriate but it is definitely worth a listen if you have children or family interested in playing sports and taking it to the next level. We are on iTunes and most podcast platforms. More fun things on the horizon, so stay tuned! I am keeping this website now as it has great content you can always go back and search through whenever you need it. I still have my own business with everything else going on, so please get in touch if there is a project we can work together on. And I may still come back and blog on occasion on topics near and dear to me. As always, you can stay connected with me through my social media channels – just look in the upper right corner on the website.